This two-day event features three commanders, three full armies, and TWO different formats! DAY ONE: Day one will be a fortress siege. There will be THREE commanders. Each commander will take a turn defending the fortress against the other two armies, who will band together to attack. 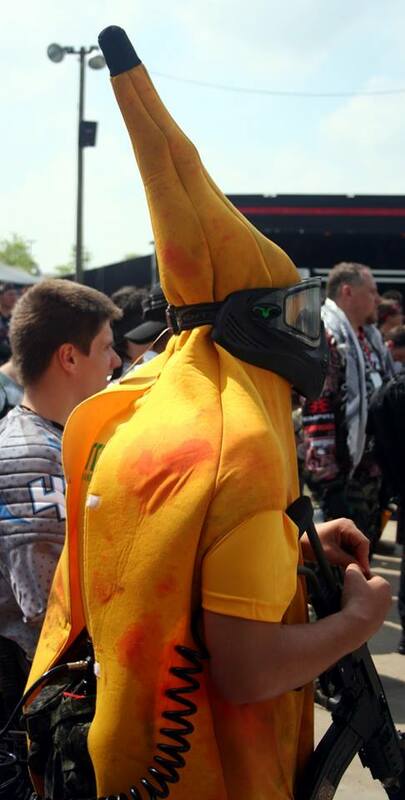 No medics. No engineers. No demo techs. No sniper cards. No helicopters. No heavy weapons. No smoke to be thrown inside the fortress. Rounds will last a maximum of two hours. First battle will start at 11am. The second will start at 2pm. The final one will start at 5pm. Field boundaries will be large enough for the battle, but not much larger than what is necessary to maneuver outside of range of the defenders inside the fortress. Attackers will start from their hospital. Defenders will start, and stay, within the fortress. A LRRP of 10 players will be allowed to start the battle at a designated point outside the fortress, but each one must return to the fortress, for the duration of the battle, as soon as they are eliminated. Defender reinsertion, from their hospital inside the walls of the fortress, will be every ten minutes. Attackers will reinsert from their unified hospital. The first three defender insertions will be every fifteen minutes. The next three will be every ten minutes. The remainder of the battle will be open insertion for the attackers. There is no “insertion window” for either hospital. If you are inside your hospital you reinsert. If you are outside of your hospital you will have to wait for the next reinsertion. 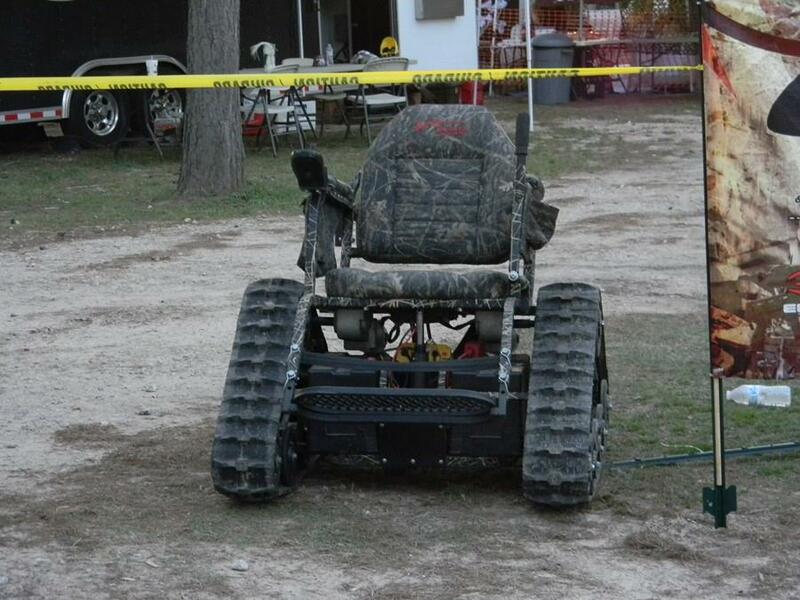 There will be flags posted that the attackers must retrieve from the Steel Fortress and post on their flag station. Four “Steel Fortress” flags will be posted outside the Steel Fortress. 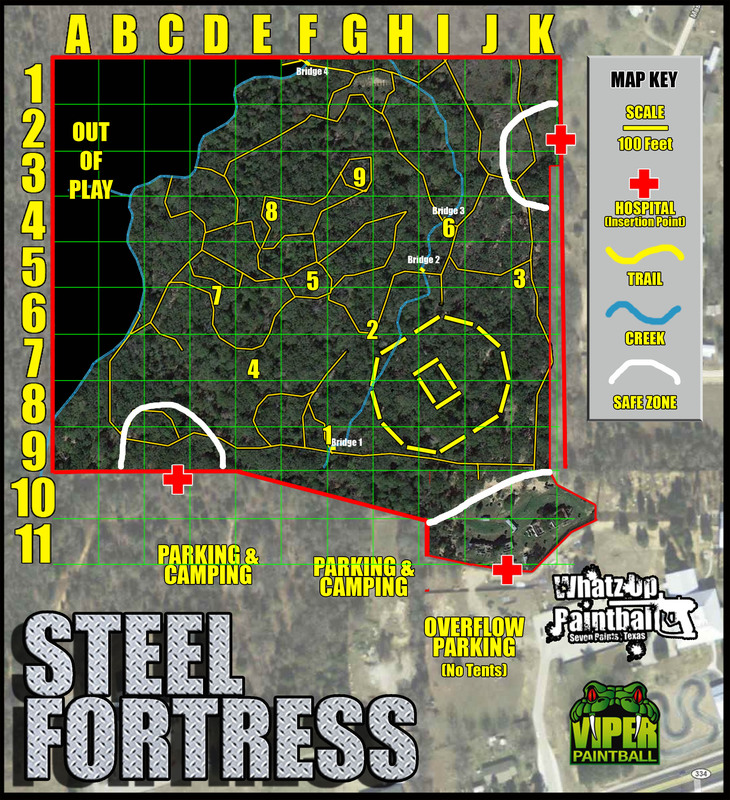 A Viper Paintball flag will be posted inside the main gate of the Steel Fortress once all four of the external flags have been captured. Finally, there will be two flags of the defender’s color posted on either side of the “keep” inside the Steel Fortress. Scoring will be a combination of total time of defense plus flag bonuses. 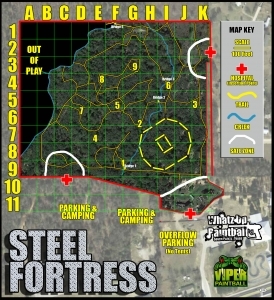 Defenders will receive two points for every minute they defend the Steel Fortress (max 120) plus two points for every minute that passed before the attackers captured and posted the Viper flag from within the main gate of the Steel Fortress. 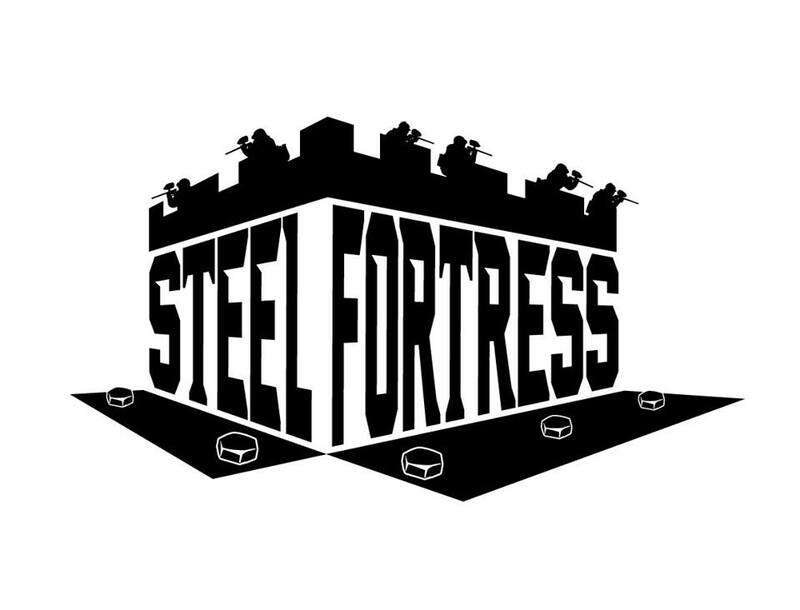 The Steel Fortress has fallen, and the battle ends, when both attacking armies have replaced one of the defender’s flags on the keep with their own color. DAY TWO: The second day will feature the same three commanders/armies in a three-way “big game” style battle with stations on the field that must be captured and held for points during regular scoring intervals. Game will end at 2pm as with most Viper events. The victor will be determined by the combined scores of BOTH days. 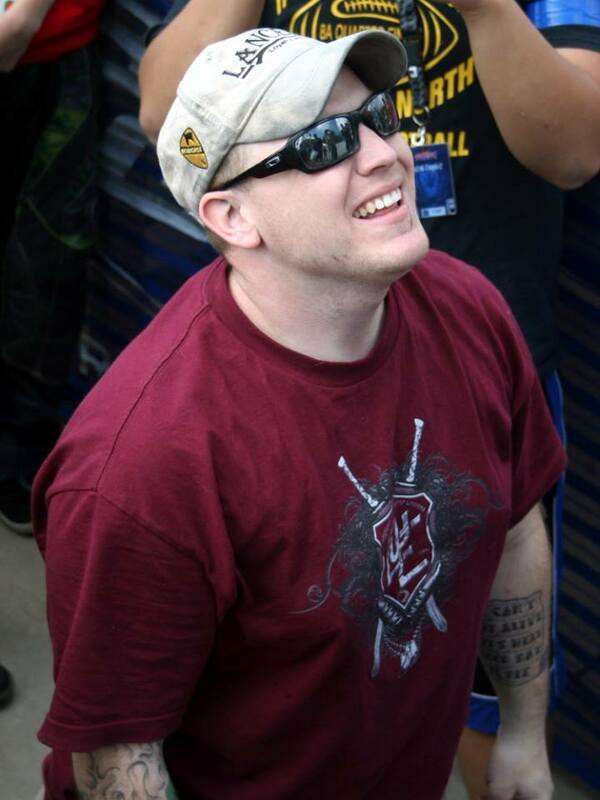 Insertion points will be assigned by random draw Saturday night after the fortress seige. Enemy players may not enter ‘Safe Zones.’ Each numbered objective will have a flag that can be changed to red, green, or blue. Flags will be checked, and points awarded for possession, on the hour and the half-hour. Insertions every ten minutes from insertion points.